I recently bought a Groupon for a mani-pedi at a local salon and felt like it was a great deal – I paid $27 for a $60 value manicure. When I called to schedule the appointment I mentioned that I wanted gel nail polish and she told me that would be $15 more. When I got to my appointment she was only going to do my fingernails with gel polish and when I told her I wanted the toes in gel polish also she said that would be ANOTHER $15. After tip I ended up paying $67 for my mani-pedi. Not only that, but I was at the salon for nearly three hours and felt like I had to entertain the manicurist the whole time. I left there feeling like I had wasted my time and money since I can do my own gel nail polish at home for SO much less! I’m currently obsessed with heat sensitive gel polish that changes color and I think I now have about 15 different colors. 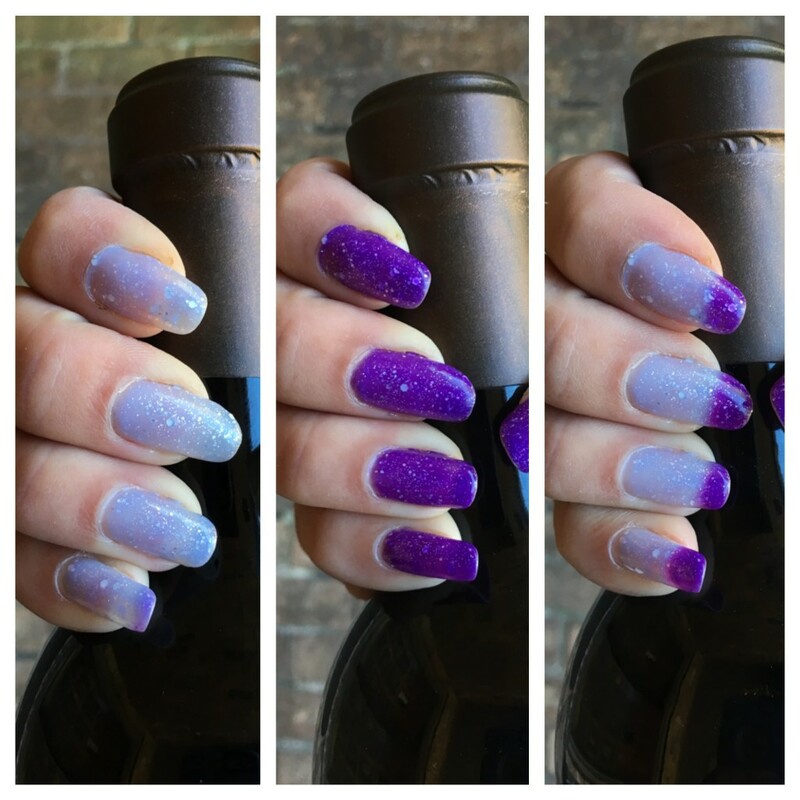 In the pictures above I’m wearing Ice Queen from DIY Hard Nails , which changes color from a light lilac when warm to a dark purple when cold, but normally has dark purple tips. Trim, file and buff your nails until smooth to prepare for the polish. Apply a coat of pH Bond. Apply a thin coat of Gel Polish Base Coat then cure under UV Lamp for two minutes. 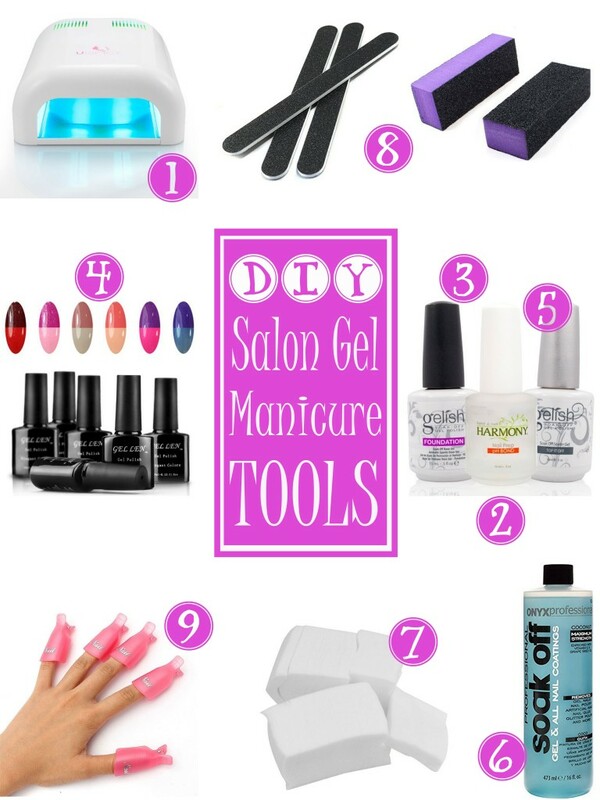 Apply a thin coat of your favorite Gel Nail Polish then cure under UV Lamp for two minutes. Repeat for a second coat. 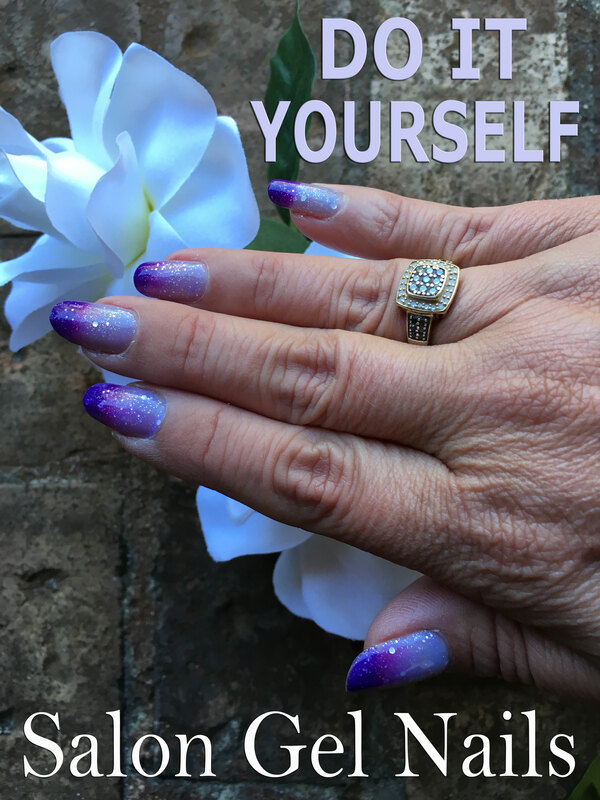 Apply a thin coat of Gel Polish Top Coat , being sure to cover the tips and sides, then cure under UV Lamp for two minutes. Wipe nails with a Lint Free Nail Wipe soaked in acetone to remove the tacky feel. Using a nail file buff off the shiny top coat. Soak a cotton ball or cotton square in Acetone and hold in place over the fingernail with a soak off nail cap . Keep caps on for ten minutes then use a cuticle pusher to scrape off the loosened polish. Oh my! What BEAUTIFUL nails!!! Thank you for this great information – now I know where to get the stuff I need to do my nails!!! Nice, salon gel nails. Love it! I'm a professional blogger, social media consultant, and working mom of eleven year old quadruplets and a twelve year old son. I enjoy sharing shopping, fashion, beauty and travel tips as well as recipes and reviews from a frugal shop-a-holic with expensive tastes! Click here to contact me or learn more about me. Crystal Sanders on Kiyoseki Mineral Ceramic 3 in 1 Styler $25 Shipped! All links on this site could be sponsored or affiliate links. I am a participant in the Amazon Services LLC Associates Program, an affiliate advertising program designed to provide a means for sites to earn advertising fees by advertising and linking to amazon.com. Some posts include affiliate links to shared products on Amazon. See my disclosure policy for more details.